Why are my LEDs dimming at an uneven, or very rapid rate? What is the difference between PWM dimming and PWM output? In this blog post we will answer both of these questions. In the majority of cases, the answer to this problem will be that the LED driver in question is ‘under loaded’. 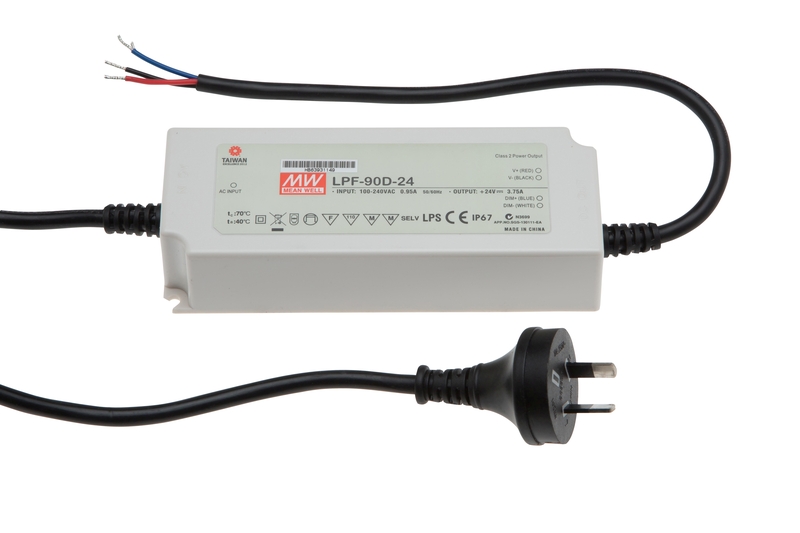 With the exception of the MEAN WELL PWM series, all MEAN WELL constant voltage dimmable LED drivers work by reducing the amplitude of the current being fed to the LED light fittings. In order for the dimming to be smooth and to correlate with the motion of the dimming switch, the LED driver needs to be loaded as close to its rated maximum output as possible. Power Supplies Australia recommends a load of about 90 ~ 95% of the rated output. Any less than that and the dimming performance of the LED driver will be less than satisfactory. LED driver loaded to 100% - Smooth and even dimming. LED driver loaded to 70% - Nothing happens until dimmer switch is turned down beyond 70% then lights begin to dim. LED driver only loaded to 30% - Nothing happens until dimmer switch is turned down past 30%, then lights dim rapidly to 10%. If your LED driver is loaded as we have suggested above, then there could be a problem with the dimming switch. The most common problem here is people trying to use a standard TRIAC type wall plate dimmer with a MEAN WELL LED driver that has 3-in-1 dimming. 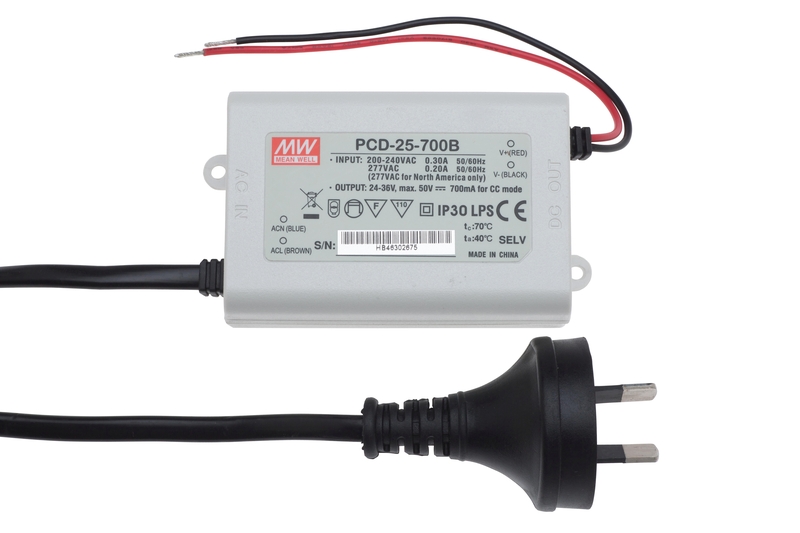 Only the MEAN WELL PCD series constant current LED drivers are compatible with TRIAC dimmers. A MEAN WELL 3-in-1 LED driver will work with 1-10V dimming pots, dimmers that use a PWM control signal and dimmers that use simple resistance. Please note that if you are using a 1-10V dimming pot, the furthest you will be able to dim the LED driver is to 10% of its output, even if the data sheet says the LED driver can be dimmed to zero. 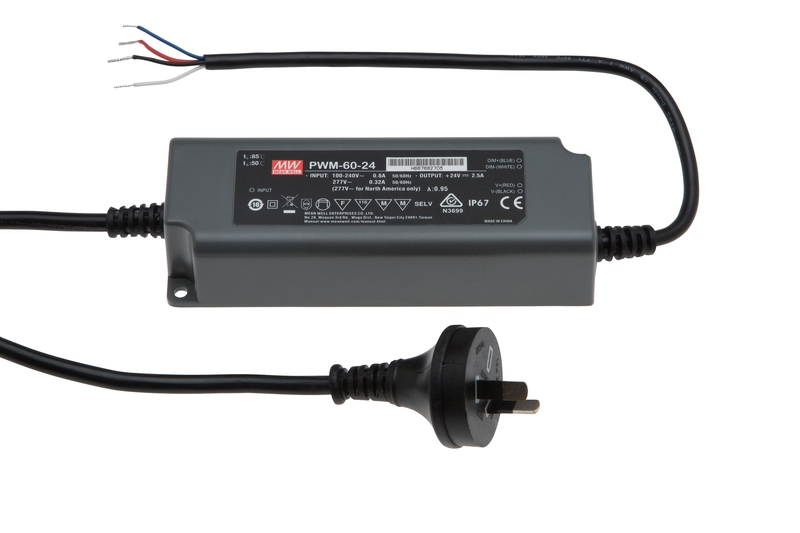 Power Supplies Australia sells a relatively low cost 1-10V dimming pot under part# SDF-30. What is the difference between a LED driver with PWM dimming and a LED driver with PWM output? LED driver has a PWM output to maintain even dimming, regardless of load. A PWM control signal is used to adjust the output of a dimmable LED driver (with or without PWM output). With these LED drivers the constant voltage output switches ON/OFF at a rate so fast that the human eye cannot see the LED flickering. When you operate the dimming control it is this duty cycle that is reduced, instead of the current amplitude. This gives even dimming, regardless of the load on the LED driver. This refers to all MEAN WELL dimmable LED drivers, with MEAN WELL’s patented 3-in-1 dimming. In this scenario the PWM signal is generated by the dimming switch, or control. The LED driver is fed this control signal via its dimming wires, or terminals. As the duty cycle is reduced the LED driver will lower the output of the LED driver. Most of MEAN WELL’s led drivers achieve the dimming by reducing the amplitude of the output current being fed to the LED lights. The below table shows how each of the MEAN WELL LED drivers with 3-in1 dimming affect the dimming according to the incoming PWM control signal. Amplitude of current output reduced. MEAN WELL ELG ‘B’ Series Amplitude of current output reduced. Duty Cycle of PWM output reduced. 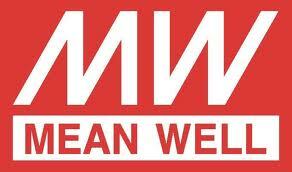 If your light fittings need a LED driver with PWM output, you will need to use the MEAN WELL PWM series LED drivers. These are the only LED drivers from MEAN WELL with the PWM output. MEAN WELL 3-in-1 LED drivers are compatible with dimming controllers that generate a PWM control signal, but this does not mean the LED driver has a PWM output. If after reading this post you are still having trouble getting your LEDs to dim correctly, don’t worry, help is at hand. Call Power Supplies Australia on 1800 632 693 and a member of our team will gladly answer any questions you may have. If you would rather send your enquiry by E-mail, please use the ‘CONTACT’ link above.